Home LISTEN! SWTOR Escape Pod Cast 47 – Achievements for Fun and Profit! SWTOR Escape Pod Cast 47 – Achievements for Fun and Profit! This week @AIESema, @MaxTheGrey and Astromech EPC-47 talk about Achievements. We heard in recent Stronghold news that Achievements will play a part in both Decorations and Stronghold Prestige. Suddenly they seem a lot more interesting! We also cover news for the week from SWTOR in general and from our guild, Alea Iacta Est in SWTOR. Of course, you’ll also hear what we have been doing lately. 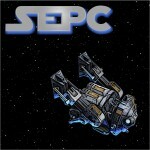 SWTOR Escape Pod Cast 48 – +10 Fleet Datacron!